In the previous post on LinkedIn, I shared examples of how to send a LinkedIn connection request the right way. Today, we are going to discuss how to accept invitations and how to follow up with LinkedIn connections. LinkedIn is a powerful platform that, if used correctly, provides you with the opportunity to forge new relationships and opportunities. I ask you “Are you focusing on collecting connections?” or “Being a connection for others?” Way too many people just randomly accept invitations for the sake of having a larger number of connections in their network and this is not a good reason to accept an invitation from someone. I am going to outline some best practices for LinkedIn for you including when to accept an invitation and how to follow up effectively. Before we move on, in full disclosure, segments of this best practice “How to accept a LinkedIn Connection Request and Follow up” is excerpted from the book I co-authored with John Nosal, Your LinkedIn Professional Network: How to Connect, Optimize and Implement for Success. Before you start clicking Accept or Ignore on invitations sent to you, you must decide how open you are willing to be on LinkedIn®, and who you want to let into Your Network. If they immediately spam my email inbox right after accepting the connection, I will remove the connection. Once you have connected, you need to follow up with each new connection. This includes those you “Invite to Connect” (and you receive a notice that they accepted), and also those who Invite You to Connect. We recommend that you create a LinkedIn letter. Type it up in your word processor of choice and then, you can adjust it as needed to send to your new connections. Add a short two-sentence personal blurb about you. It’s a conversation starter to motivate the new connection to message you back. Thank you for the connection. I do look forward to learning about you. Here’s a little about me: I am a mother of a spitfire 7-year-old daughter, who is spoiled rotten and smart-smart-smart. (All those “I hope your kids turn out just like you” statements my mother made –worked! Don’t ask). Seriously, I think she is the greatest thing since sliced bread. 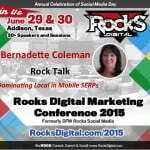 Whenever I manage to pull myself away from my busy schedule as VP of Community Management at Advice Interactive Group, I am working on the Rocks Digital website (http://RocksDigital.com), which I am co-founder of and also serve as Brand Development Manager. 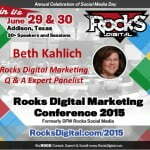 You can also usually find me online sharing about digital marketing or finalizing the details on the 4th annual 2015 Rocks Digital Conference, formerly DFW Rocks Social Media. In addition to teaching social media, I am a speaker and author of two books, 25 Tips to Twitter Success: Learn How to Market Yourself, Brand and Business Online; and Your LinkedIn Professional Network: How to Connect, Optimize, and Implement for Success. My business goal is to help business owners and consultants use social networking sites, such as Facebook, Twitter and LinkedIn to brand their expertise and services in the marketplace. I look forward to learning about you, so make sure and message me back. Again, Thanks for the Connection! Notice that at the very beginning of the letter I immediately made them curious about me as a person. I use humor and personality to create a personal connection in a space that can feel so impersonal. This intro is my conversation starter. Countless people quickly message me back and share something personal about themself and because I set the tone of non-sales pitch, they usually don’t pitch me back and instead share in a similar style. Question for you: Did you feel sold to when reading my example letter? You learned a lot about me, but it was in a kinder, gentler way. This should be your object with your letter. If someone doesn’t message you back after you send a great letter, don’t worry because they weren’t truly interested in being a connection. They just wanted to collect connections. If you sent them the invitation to connect for a very specific reason like you wanted an introduction to someone else, then you would definitely want to follow up again, but with a different follow up letter and potentially more direct (but proceed with definite caution on how direct you are). 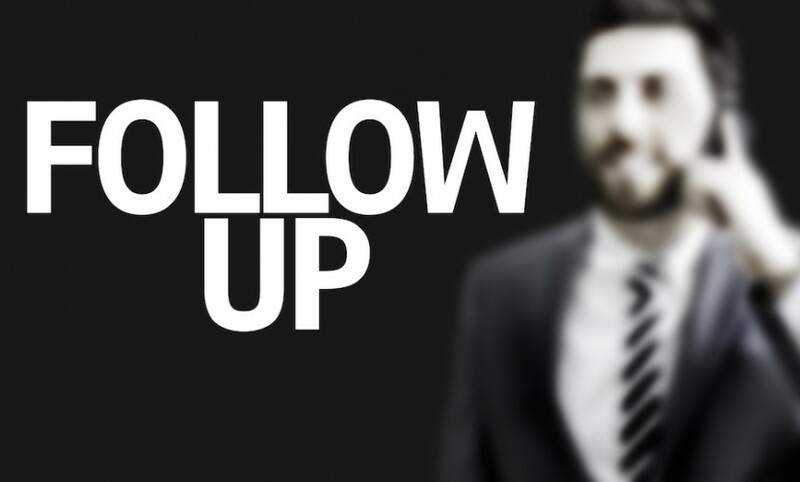 Type your follow up letter in word or some other type of document software and keep it saved. You will have grammar check, spell check and everything else. When you are ready to accept new invitations, immediately follow up with each one by copying and pasting the letter in a reply on LinkedIn and add their first name to personalize it. If you know you have met this connection before somewhere or online, customize their letter to fit that. Don’t assume people that know you from another place really know you. Tweak your letter to say “Here’s a little about me you might not already know” or something similar. You want to give the feeling that you are not for sure if you have told them the personal stuff about you or not, but you want to share with them and get to know them better in return. Start using this follow up strategy and with your connections and take your LinkedIn network form mediocre to magnificent. If you haven’t already optimized your LinkedIn Profile, you must start there before sending, accepting or following up with your new connections. You want to give the best, first impression. Are you ready to be a connection vs. collect connections? Chime in below with your LinkedIn tips that have been working for you and your clients.